Going to the Algarve? Find the best month to visit the Algarve based on the weather. Check the Algarve weather averages before you book your next holiday in 2019/2020. Today's maximum temperature in the Algarve is expected to be 64°F, while the average maximum temperature in April is 66°F. The holiday weather guide shown above is for Albufeira. The weather for Algarve, represented by Albufeira, shows long term weather averages processed from data supplied by CRU (University of East Anglia) & today's weather forecast provided by MeteoBlue. Find out more about our data sources. The Algarve is by far one of Europe's most popular holiday destinations, and the Algarve's weather plays a major role in this. It's known for its abundant sunshine and settled conditions during the summer months. The Algarve is Portugal's southern coastal region, renowned for its dramatic Atlantic coastline, fine beaches and crumbling cliffs. 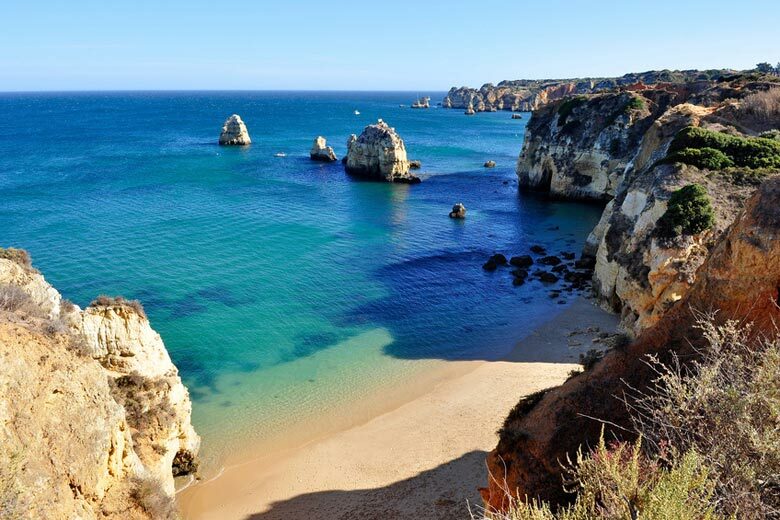 Although the Algarve isn't actually in the Mediterranean, the weather in the Algarve has typically Mediterranean characteristics, with warm, dry summers and cool, wet winters. June to September is the most popular season with holidaymakers, and for good reason. The weather in the Algarve at this time is controlled by the semi-permanent region of high pressure that sits over the eastern Atlantic, 2000 kilometres or so to the west, known as the Azores or Bermuda High. 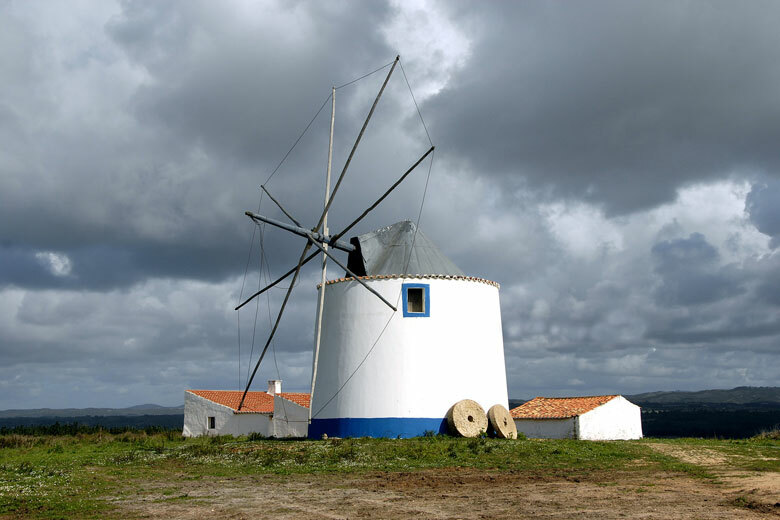 This high pressure system produces settled weather in the Algarve when, on a typical summer's day, you can expect 11 to 12 hours of bright sunshine, some light winds and almost certainly no rain. During the height of summer in July and August, daytime temperatures along the coast generally hover just below 30°C, falling to a pleasant 18°C overnight. 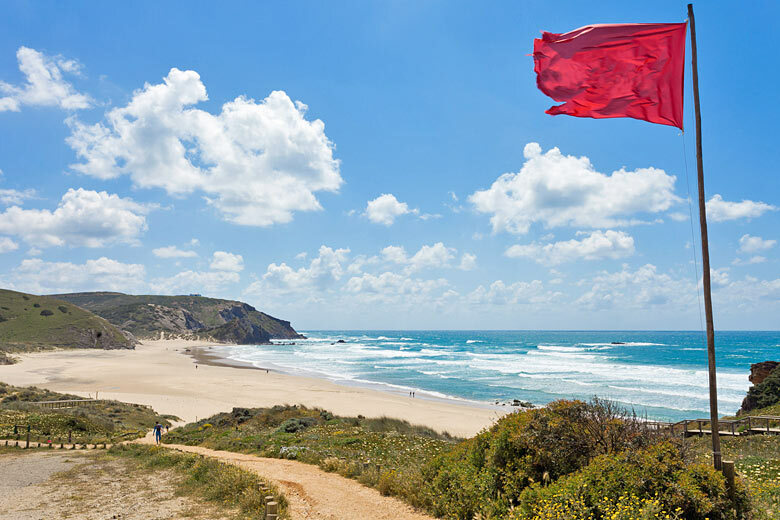 Light west to north-westerly winds help to take some of the heat out of the days, and the cool ocean waters also help to moderate the weather in the Algarve so it rarely feels too hot. As for the sea temperature, the water around Albufeira is usually, at its best, a cool 22°C towards the end of August and beginning of September, compared with 26°C in Majorca in the Mediterranean. The reason the sea is quite cold in the Algarve is partly because the Atlantic is such a large ocean and takes time to warm up but also because there's a cold ocean current which flows down the west coast of Portugal. The sun, however, is fairly strong and normally shines for more than 80% of the daylight hours in July and August. The fact there is little, if any, rainfall in summer is one of the reasons it continues to be a favourite with those after some sun, sea and sand - at most, you'll encounter a passing thunderstorm. It's easy to see why Algarve weather entices so many holidaymakers during this time. The Algarve's autumn ranges from the end of September to the middle of November, and is one of the best times of year to visit this region of Portugal thanks to comfortable temperatures and abundant sunshine. Although the weather in the Algarve at this time is cooler and the days are noticeably shorter, it's a very pleasant period with relatively settled conditions. No longer is a walk in the country or a round of golf such a sweaty affair, and you can still expect seven to nine hours of sunshine a day. From November the weather in the Algarve turns a little wintry, and daytime temperatures take a tumble, not surpassing 20°C. November and December tend to be the wettest months when it comes to Algarve weather, however, most days are rain free and more than half of daylight hours are, on average, sunny ones. Winter also tends to see more easterly winds, which is the opposite of summer. Ground-frosts rarely occur thanks to the proximity of the now relatively warm Atlantic Ocean, which helps to prevent temperatures falling too far. Daytime temperatures usually peak in the mid-teens with an average of five to six hours of sunshine a day between December and the end of February. The spring months of March to May are when the winds are at their strongest and the protection offered by the Azores High is at its weakest. Consequently, low pressure systems can creep in from the Atlantic occasionally bringing winter storms with them, disturbing the normal pattern of Algarve weather. However, from March onwards, rainfall decreases, the days become warmer and, as they lengthen, sunshine hours increase. By May Algarve weather produces 10 to 11 hours of sunshine per day and temperatures start pushing towards the mid-twenties again. From the middle of May to the middle of October, you really only need light clothing, but from November to the end of March, warmer layers are essential, including a raincoat for the odd days when it rains. Overall, the 100 miles of south-facing coastline that make up the Algarve has one of the best climates of anywhere in mainland Europe. There's plenty of sunshine all year round: in summer the Atlantic Ocean helps moderate temperatures, while in winter its southerly position and the ocean prevent the weather in the Algarve from becoming too cold. You can find out more about weather in the Algarve by visiting our Algarve climate page for an overview of annual conditions. If you fancy holidaying in the Algarve, check out our collection of cheap Algarve holidays, plus deals on hotels, flights, car hire and transfers. The Algarve tropical storm risk chart above shows the hurricane season for Albufeira, Algarve. The chart was processed from data supplied by the US Meteorological Agency (NOAA). Find out more about our data sources. Check Algarve holiday weather averages for a particular month by selecting from the list below. Monthly weather guides include figures for temperature, rainfall, sunshine hours and sea temperature plus daily sunrise & sunset times. Below the Algarve weather chart shows maximum daytime temperature for Algarve (Albufeira) and the USA (Washington). For more weather parameters or to change the destinations shown visit the comparison weather tool. Below are average maximum temperatures at popular destinations in the Algarve in April. Select a destination to see the weather overview and compare average conditions with today's forecast.